Are you ready for the most romantic holiday of the year? 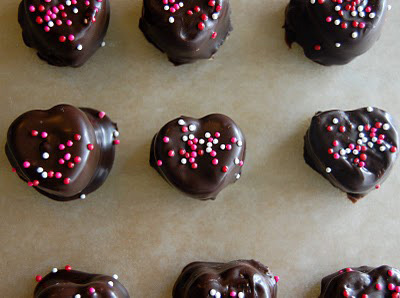 Check out these 12 treats you can make for yourself and your sweetie. Are you ready for the most romantic holiday of the year? 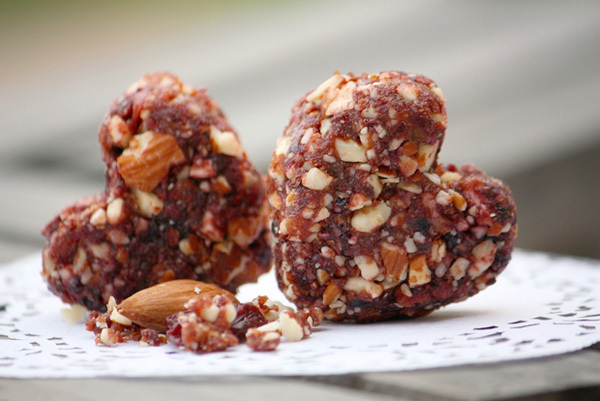 Check out these 12 treats you can make for yourself and your sweetie. 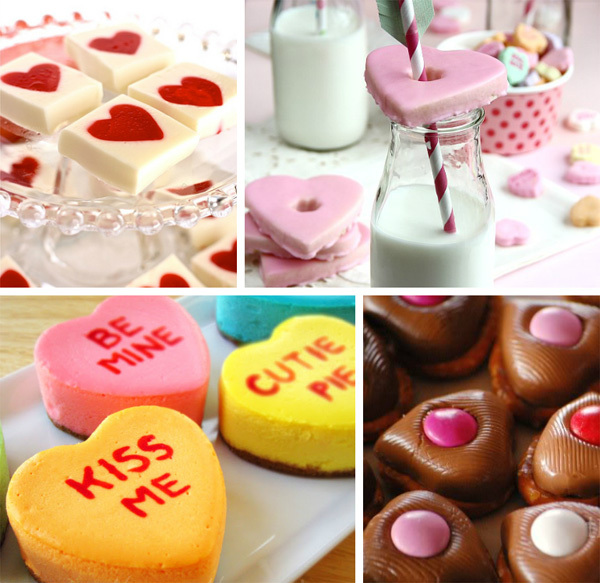 Valentine’s Day is all about the sweet stuff, meaning both treats to eat and acts of sweetness. 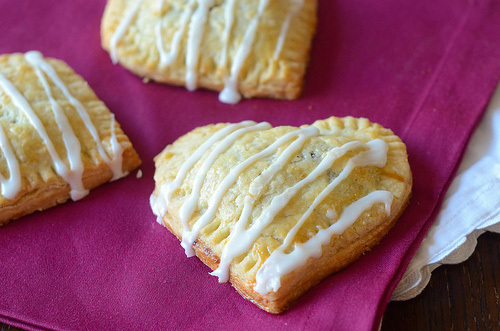 Why not combine them and make one of these scrumptious treats that will steal your heart (and your sweetie’s, too)? 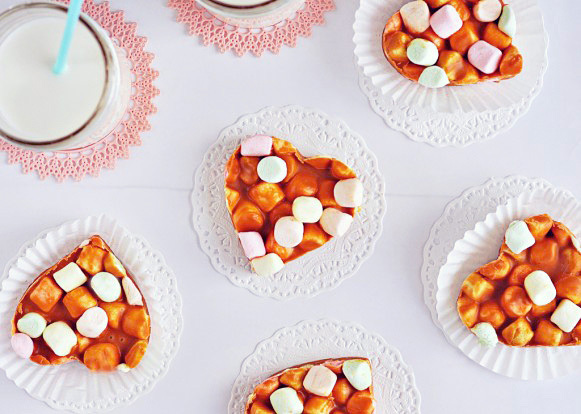 This classic campfire treat gets a makeover, just in time for Valentine’s Day. 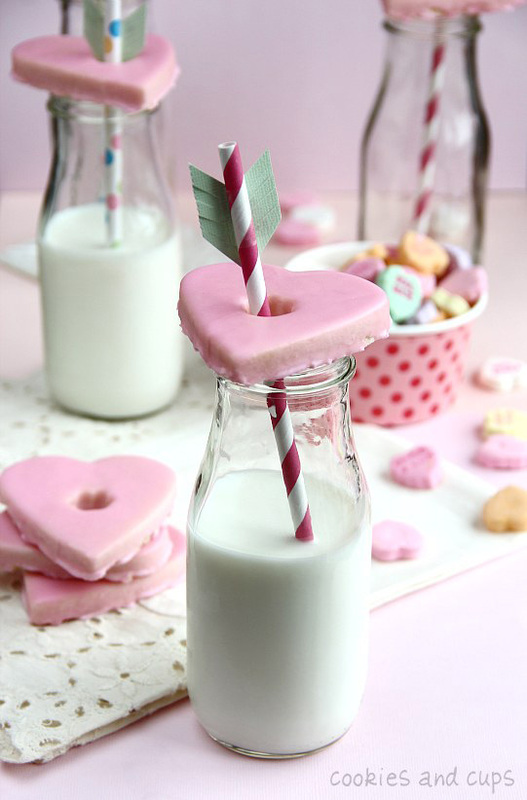 You can find heart-shaped marshmallows (who knew?) to help when you put these together. Here is another classic yanked from the grocery store shelves and improved on by adding a personal touch. 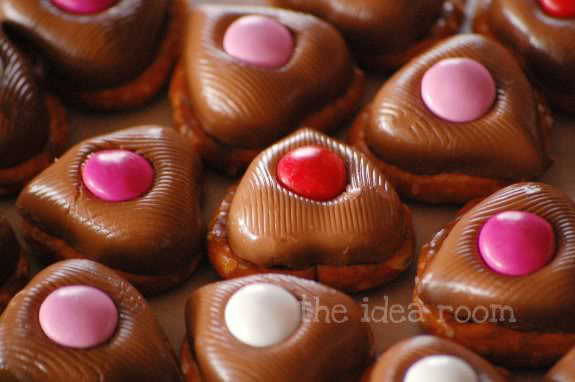 Their heart shape and delicious fillings (cherry pie filling and Nutella) make them irresistible. 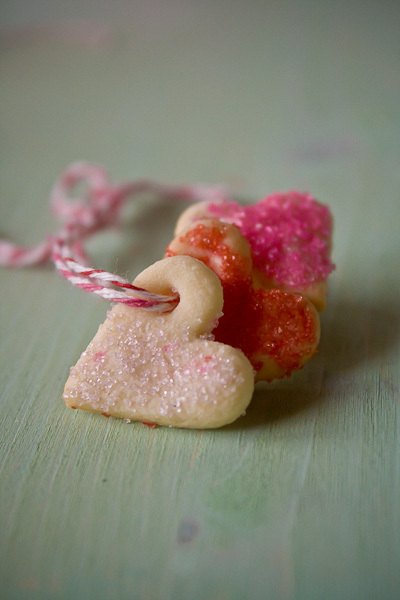 You’ve heard of wearing your heart on your sleeve, but this fun treat — a sugar cookie bracelet — is something you can wear on your wrist… and eat later! Bring on the butterscotch (and a few other goodies)! These treats call for just four ingredients, and no baking is required. 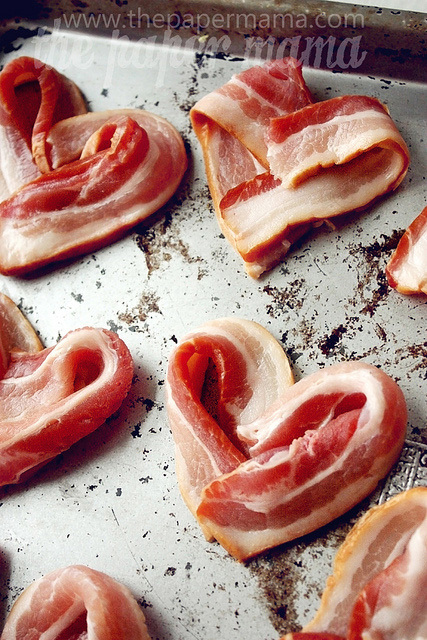 Can you imagine serving (or being served) breakfast in bed that includes bacon hearts? These are worth waking up for! Supercute and fun for kids, these jello goodies are a tasty, jiggly treat. 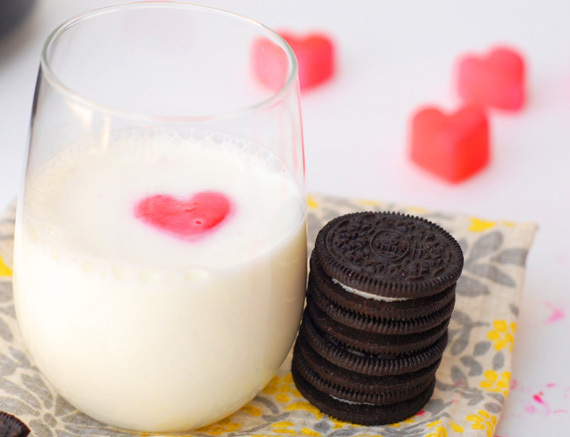 These cookies are ready for you to enjoy with a glass of milk and a straw. If you’re planning a romantic meal for your someone special, get things started with this lovely appetizer. 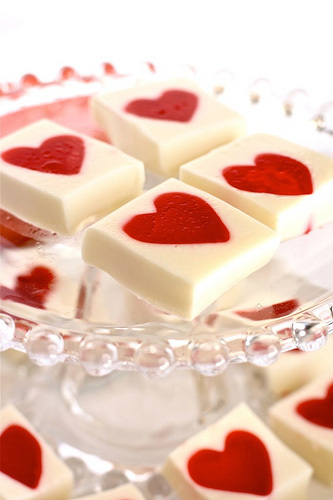 Drop these tinted milk cubes into a glass of milk or morning coffee (served with cookies, of course) to share some love. This simple snack combines some favorite treats — chocolate, pretzels and M&M’s — with a few minutes in the oven to deliver a special goodie. 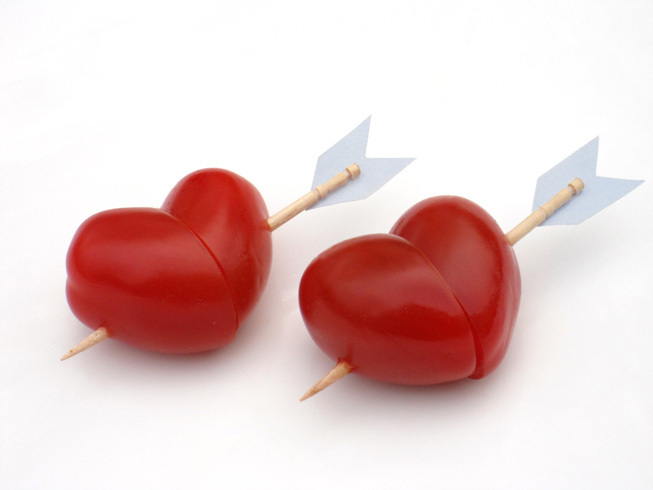 Deliver a message of love via a delicious dessert! 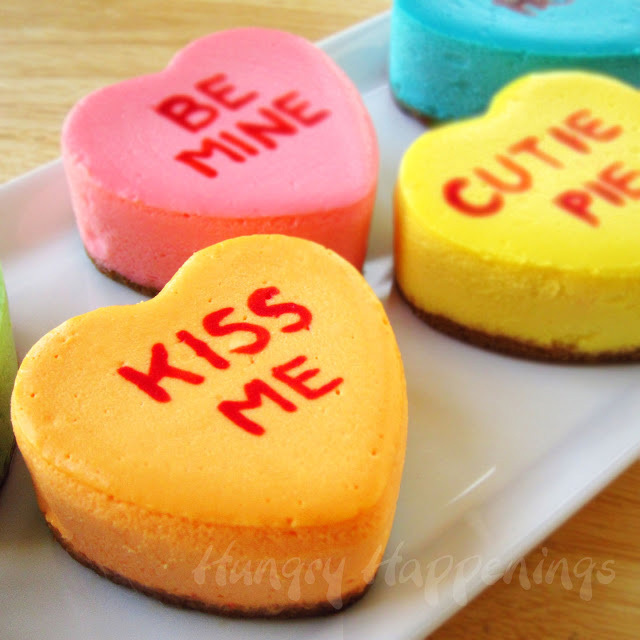 These conversation heart cheesecakes will say it all. Healthy and delicious? Now that’s the kind of treat we love.